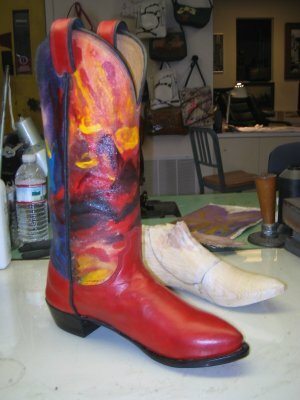 Not for sale First fitter boot For artist Philomene Bennett. She did the artwork. I made the Last but it didn't fit that great.